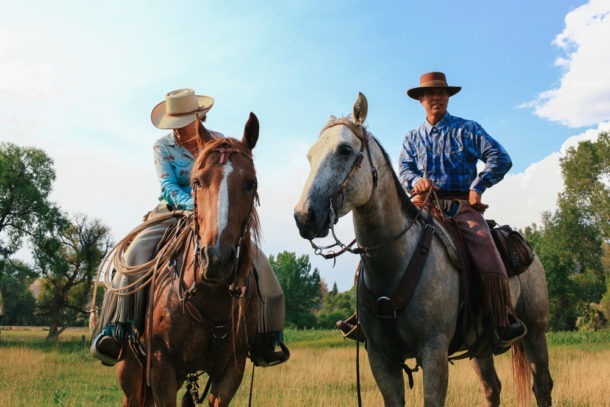 Peter De Cabooter and his wife Marijn Werquin have been running their guest ranch in the beautiful scenic surrounds of Shell, Wyoming USA for over 20 years. 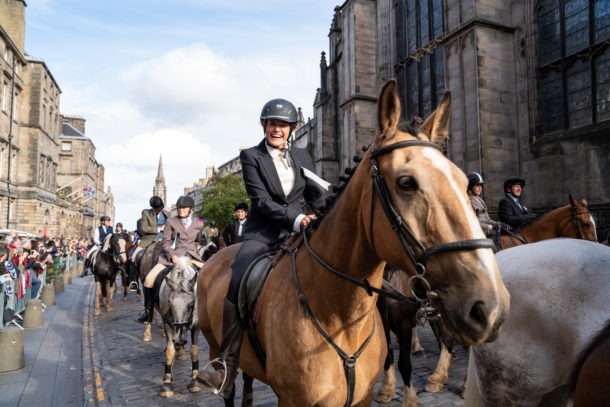 While much has changed since their first year of operation, their ethos remains the same: to offer a safe, enjoyable and professional riding holiday for their guests. It’s safe to say globetrotters, you will have a blast in the hands of these two gorgeous guides and their staff! 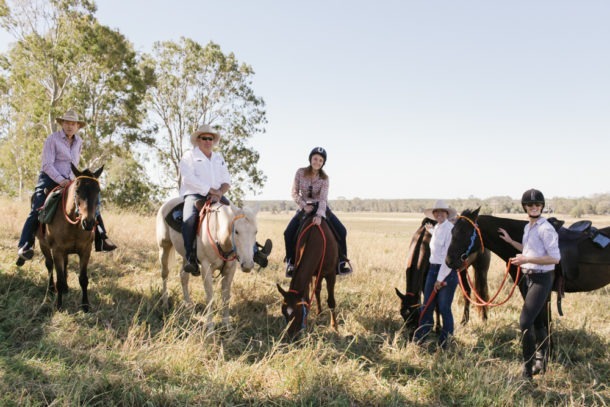 Here we find out a bit more about their riding outfit, their horses and their drive to ensure every single one of their guests enjoys their experience on the ranch. 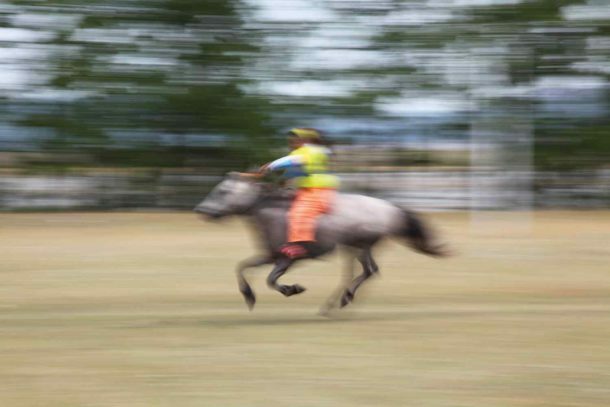 How long have you been running your riding outfit in Shell, Wyoming? We started our guest ranch in Wyoming in 1993. And what was the background, history, reason for starting? The guest ranch was started to offer an upscale working cattle experience that is authentic at the same time. Working ranches existed but they were, and still are, very rustic and don’t always offer a safe, organized and professional experience. 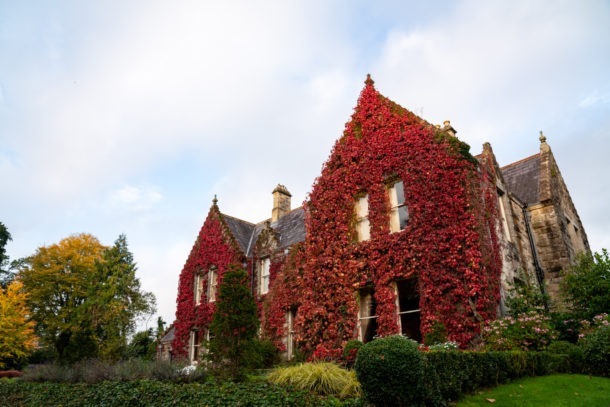 Another reason was the fact that we had accumulated so much land through buying other surrounding ranches that we were looking at how to leverage the use of these investments in the right market offerings. 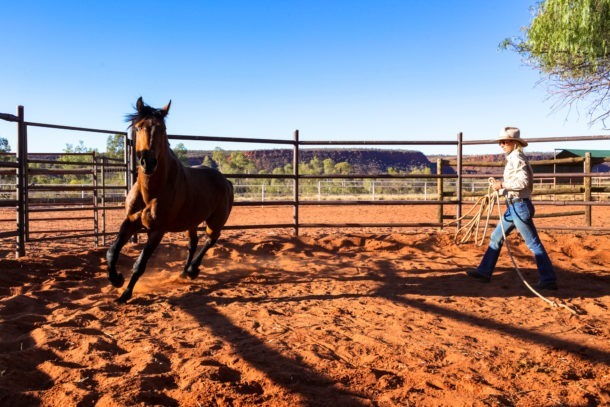 Over the years our guest ranch continued to offer a working cattle experience but in 2006, we reviewed our positioning to also become a quality riding ranch with a solid and professional low stress horse program. 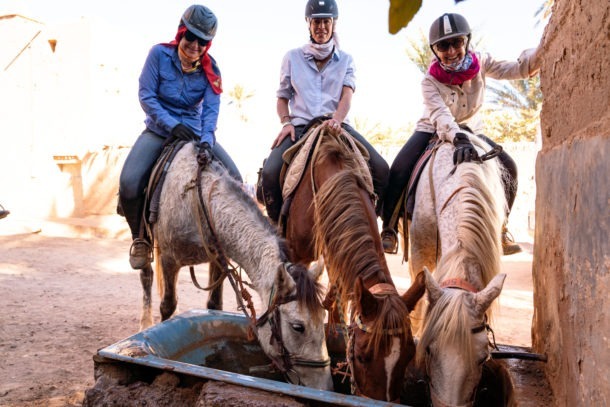 We also added on an array of non-riding activities to please couples, friends and families of whom not everybody wants to spend the entire day on a horse. The strategy and concept we set out in 2006 was to become a riding, working cattle and outdoor adventure destination. Currently we have 78 horses of our own and we typically lease approximately 20 additional horses for the season. The lease horses are treated as our own horses and integrated in our horse program with the same care as our own horses. So all together we have approximately 100 horses available for around 25 riders during our most busy weeks. Our horse to guest ratio is amongst the highest in the industry. So is our guests to staff ratio! Describe your herd of horses. In our herd we have mostly Quarter Horses and Paints in addition to well-trained Mustangs who came from the wild. All the horses that enter the herd first go through the hands of our trainer prior to our own staff starting to ride and work with them. All our staff are trained the way our horse trainer trains the horses. This is for consistency, liability and safety. Our herd roam altogether and remain outside during winter and summer. We have a variety of riding levels amongst our horses and can please most riders from beginners to advanced. Unlike many other guest ranches, we have many mares in our herd. To offer a safe, enjoyable and professional riding vacation to our guests. We are open minded to learn and constantly question ourselves and our program to make sure we keep improving this riding experience, the quality and care of our horses, our saddles and tack, and the quality of our wranglers. An important part of our philosophy is that we embrace diversity and see different cultures as an asset. Each year our guests from around the world are growing and one of the highlights for our guests has become the interaction with people from around the world while being at our ranch. We also offer freedom in riding – we are not a nose-to-tail ranch. What do you love most about your job (guiding)? Being on and around horses, beautiful country and being outside. Seeing the smiles, we put on the faces of our guests throughout the week. Seeing people from different cultures, countries and horse backgrounds grow towards each other, have fun and gain appreciation for what is different. The most challenging part is to make sure that every individual and department in our organization delivers the best individually and as a department while integrating it all in one superb, seamless experience for our guests. As we are constantly working on upgrading our horse program, the quality of horses, etc. it is sometimes hard to see how some of the guests treat the horses. The challenging part is to be honest and firm in addressing this, while not trying to hurt egos. We try to keep up a culture of quality amongst everybody on the team and ensure no corners are cut. 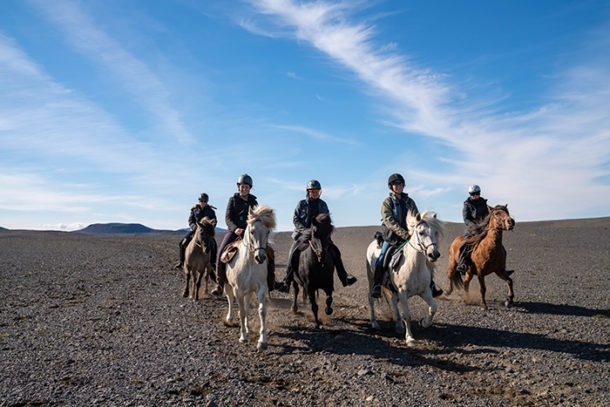 A quality riding experience in combination with the possibility to participate in cattle work in some of the most beautiful and diverse scenery in North America. Surrounded by excellent service, care and food on the hospitality side and well trained wranglers and guides. Riding great horses managed by a professional and respectful horse program. Ride a Quarter Horse as well as a Mustang. A multicultural environment with management who understands and is experienced working with travellers from around the world. No matter where you come from, what your riding background, riding discipline or riding level is, if you come prepared to ride our horses the way we ride and respect them you will have the vacation of your life. An open mind towards respectful horsemanship, and willingness to walk a mile in somebody else’s culture and diversity, no matter where you come from. Many weeks are memorable as many weeks produce smiles on the faces of our guests. 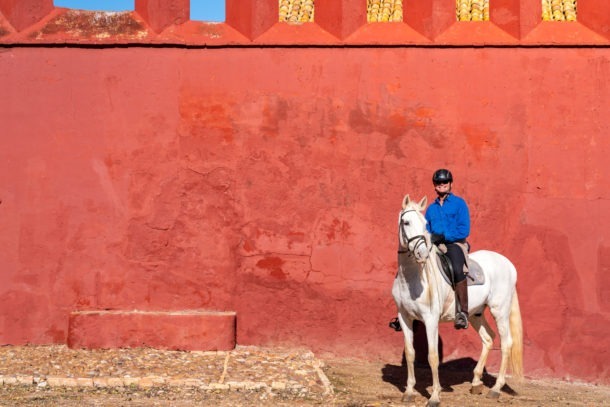 Each week most of our guests leave here more confident in riding their own horses at home, because of this riding experience and what they have learned. The most significant moment in my guiding career is that every year we see the riding concept and philosophy we set out 10 years ago come to reality and increase in quality. Come and try our guest ranch in the beautiful Wyoming countryside in the USA. If nothing else to come and see that when you flush a toilet in Wyoming the water in the bowl runs in the opposite direction of Down Under (joke that all Australians observe when they are here). 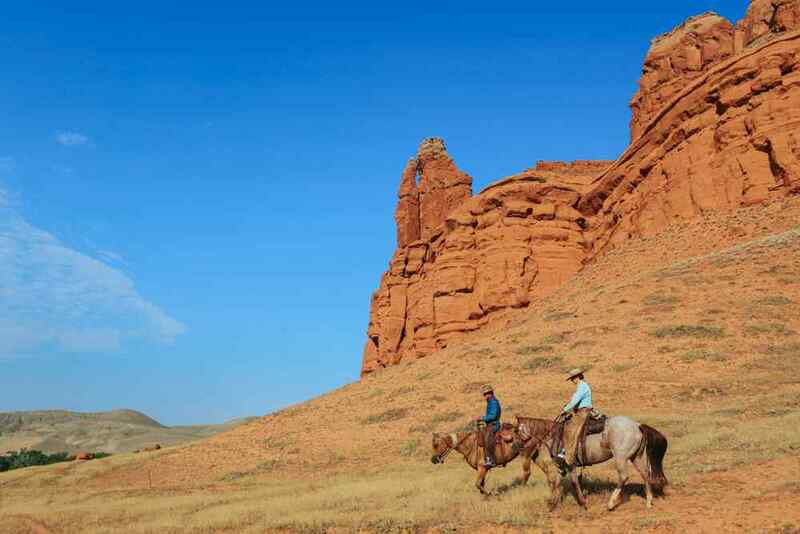 Keen to discover the wonders of the USA from the back of a horse? Well THIS is the ride for you. Click here to find out more information, including our departure dates.